In April 1789, the H.M.S. Bounty left Tahiti and whilst passing through the Endeavour Channe, a number of the crew staged mutiny. Captain Bligh and 18 loyal crew members were forced by the mutineers into one of the three small lifeboats and were cast adrift. This craft, powered by a large sail and with four men rowing at a time, covered 3,600 miles until they reached the safety of Timor. 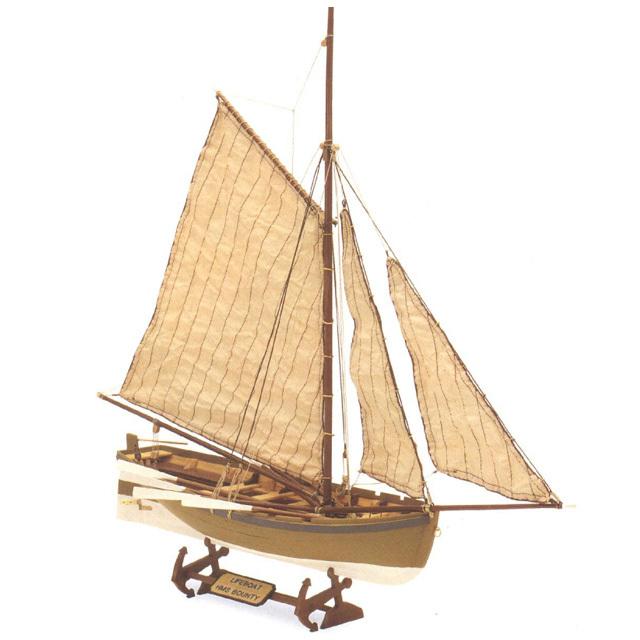 Our model of the Bounty’s Jolly Boat is graceful, decorative and easy to build.